I am a subscriber and love your computer program. And you have a great functioning website. 1) I just received the Caramel Popcorn recipe, looks delicious. Before you cut the hard rinded fruit (lemons, limes, oranges, grapefruit, so on) roll it on the counter with pressure from the heel of your hand to loosen the juice. BINGO! Works great. Thanks for your videos. 2) I sent a copy of this recipe to my 11 year old nephew Jacob in Chicago (we live in South Carolina). I know your company is a Christian-based company. 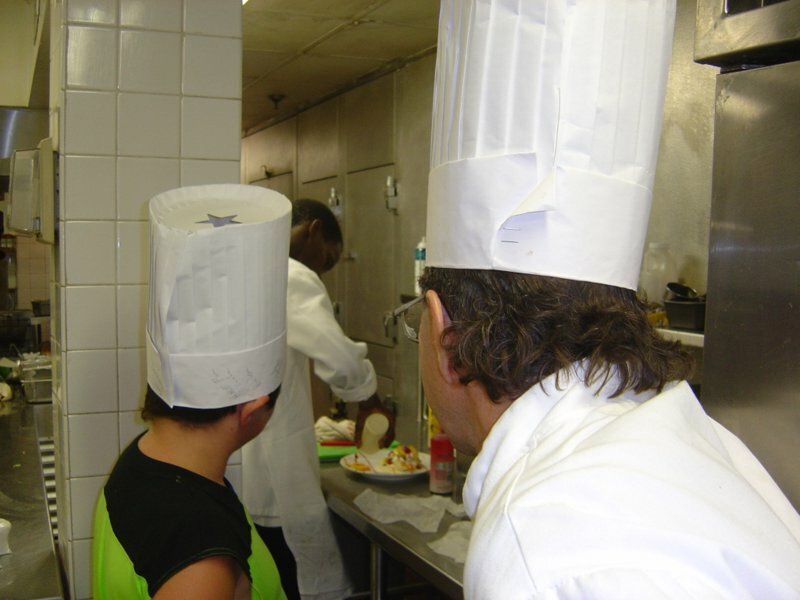 Do you have a program for helping youngsters with cooking? His family hasn't the money to purchase the program but they do have a computer at home. Like many kids, Jacob is in a disfunctional family and is forced to be the adult of the family and cook. He sends me recipes all of the time. I would love it if there was a part of your company that contributed the base computer program to needful kids. It would be a great way to turn a terrible burden into a good thing, helping them in many ways. Maybe you could also target those households with cost-efficient recipes and could in fact turn lives around. 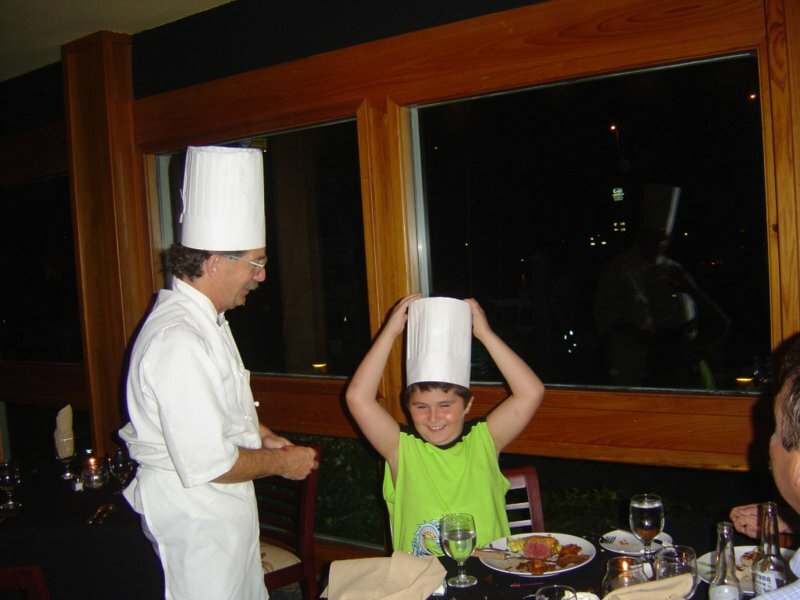 Here's a photo when Jacob came to see us a few years ago, he made a suggestion to the waiter on flavoring his dish and was taken to the back kitchen for a tour. 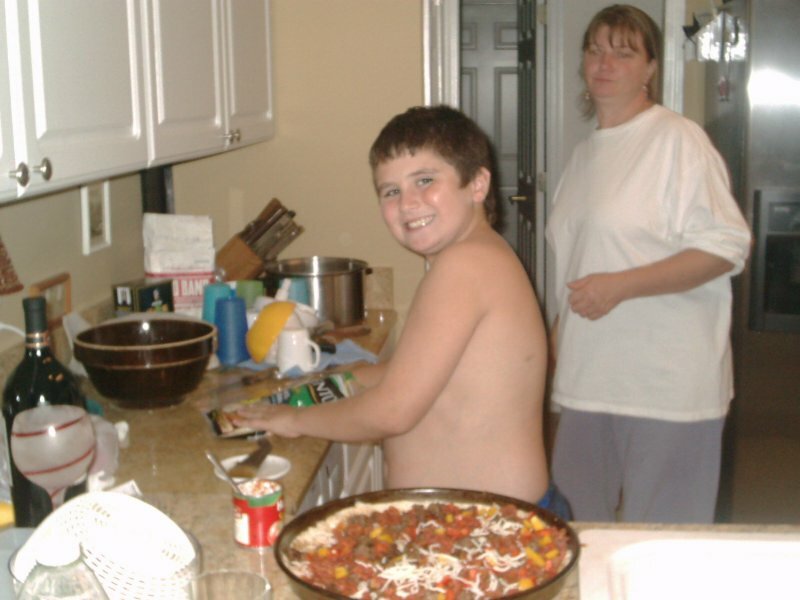 Above is a photo of me teaching him how to make deep dish pizza. The next Christmas I had my brothers and sisters individually wrap all of the ingredients to make pizza and the give him the pan and utensils last. He called and said it was the best present ever.